As cities and towns across the country prepare for fireworks and crowds this weekend, this 145th anniversary of Confederation once again calls into question the meaning of Canada Day and Canadian national identity. Toronto city councilor Doug Ford and his brother, Mayor Rob Ford recently mused on their weekly radio show about the need for a Canada Day parade. “We should be as patriotic as anything,” remarked Councilor Ford. “We should be having a Canada Day parade. We should have the troops going down with us waving the flags.” The Historica Dominion Institute suggests that its recent opinion poll reveals that Canadians “aren’t so shy about showing their pride.” These kind of calls for greater outpouring of patriotic fervor suggest a desire for Canada Day to be a unifying national holiday. The anniversary of Confederation has, of course, never been a unifying day in this country. While the celebration of Confederation has obviously been contentious and controversial in Quebec among many French Canadians, the meaning of Confederation and its commemoration historically has also been divisive in other parts of the country since the 1860s. While in the wake of the Great War, Dominion Day was less of a boisterous and patriotic affair, by the Great Depression of the 1930s, class-divisions and dissatisfaction with the failure of the federal government to address the economic crisis led to one of the most raucous and violent Dominion Days in Canadian history. On July 1st, 1935, the Regina police and the Royal Canadian Mounted Police attacked a group of striking relief camp workers during a Dominion Day rally. Part of the “On-To-Ottawa Trek,” the striking workers were hoping to use the Dominion Day holiday to raise money and food to support their return home following the failure of strike negotiations with Prime Minister Richard Bennett. 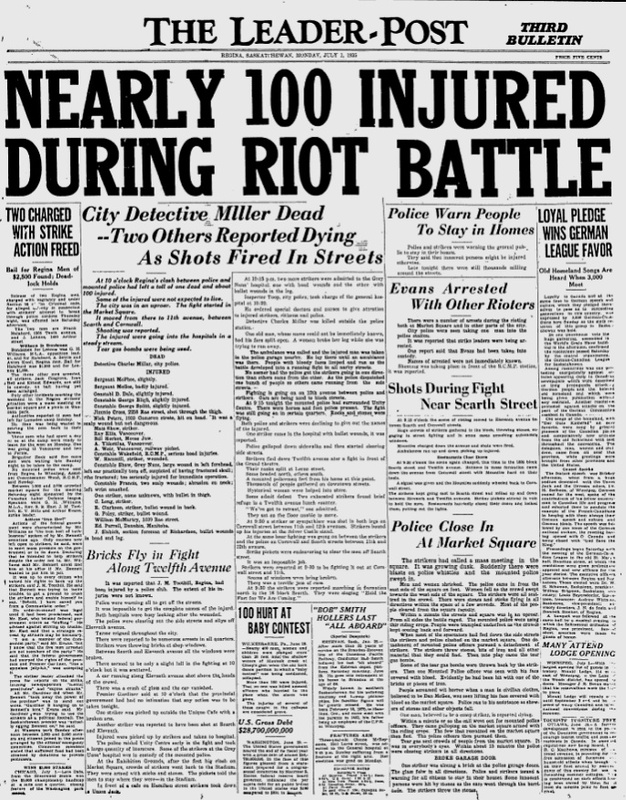 The Prime Minister ordered the police to seize and capture the leaders of the Trek in Regina and instead they instigated a city-wide riot that resulted in the mass arrest of over 100 people. It was certainly a memorable Dominion Day, but hardly a celebratory affair. To many of Canada’s unemployed in the 1930s, Confederation had failed. 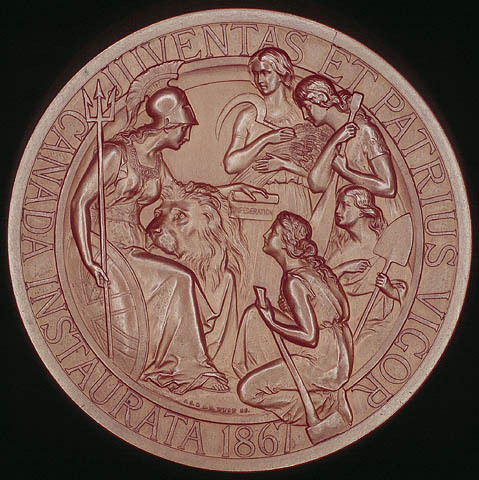 The ensuing decades of the twentieth century continued to transform the meaning of Dominion Day. Following the trauma of the Second World War, Canada eventually experienced renewal, newly found economic prosperity, and greater independence from the British Empire. In the 1960s, in an effort to assert a new, independent national identity for Canadians, Prime Minister Lester Pearson proposed adopting an official flag for the country, one that was distinct from the Red Ensign, which had unofficially served as Canada’s flag for many years. The proposal of a maple leaf as the new symbol of Canada received sharp criticism and outright hostility from Anglo-Canadians who continued to cling to symbols of the British Empire, especially the Union Jack. For example, in May 1964 Pearson was booed and shouted down by an audience of Royal Canadian Legionnaires in Winnipeg for suggesting that the Red Ensign no longer adequately represented Canada. 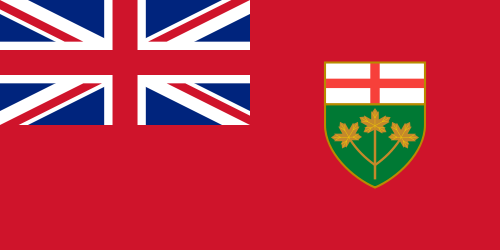 The provincial governments of Ontario and Manitoba were so offended by the maple leaf flag that each government adopted modified versions of the Red Ensign as provincial flags. Flag of Ontario, adopted in 1965 to protest the new Canadian maple leaf flag.